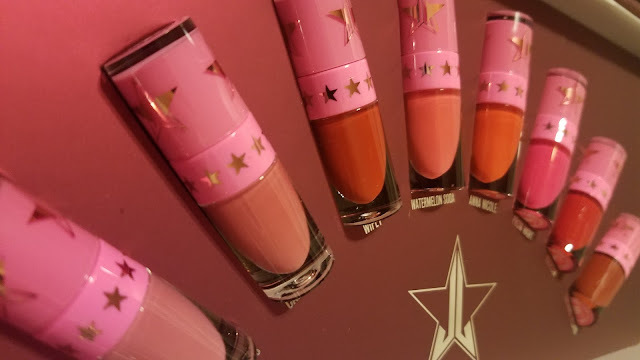 Jeffree Star Cosmetics absolutely killed it with this collection! Obviously FedEx did aswell, but we will get to that later! I patiently waited (sigh) all day for this collection to release. Luckily, I had nothing better to do that day and just sat at my desk watching the clock. The release was at 10 AM PST which is 1 PM EST so at 12:45 I started refreshing the page. 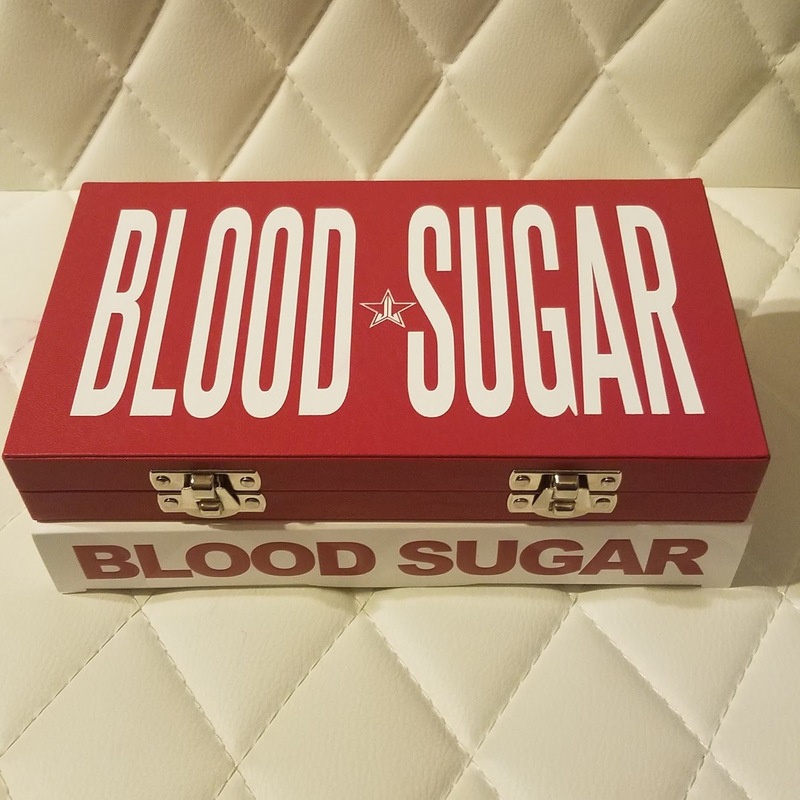 I knew the Blood Sugar Palette was going to sell out quickly and didn’t want to miss it! At 12:58 It went live. I knew I couldn’t get the full collection but for now just got the items I really had been drooling over. 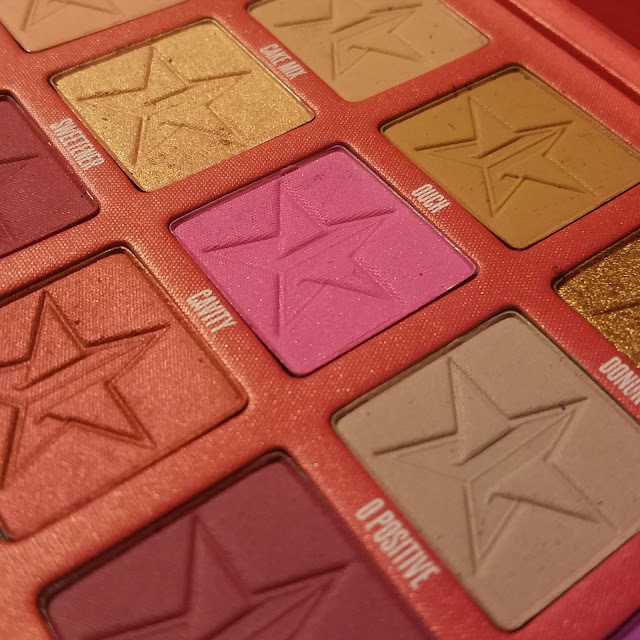 So after my checkout was complete I headed to Snap Chat to see what Jeffree had to say… The palette sold out in 3 minutes and he was in tears! I was so happy that I was able to get it! After waiting 5 long days, the box finally arrived! Every time I see the FedEx guy walking up the driveway with that pink box, my heart starts beating faster. 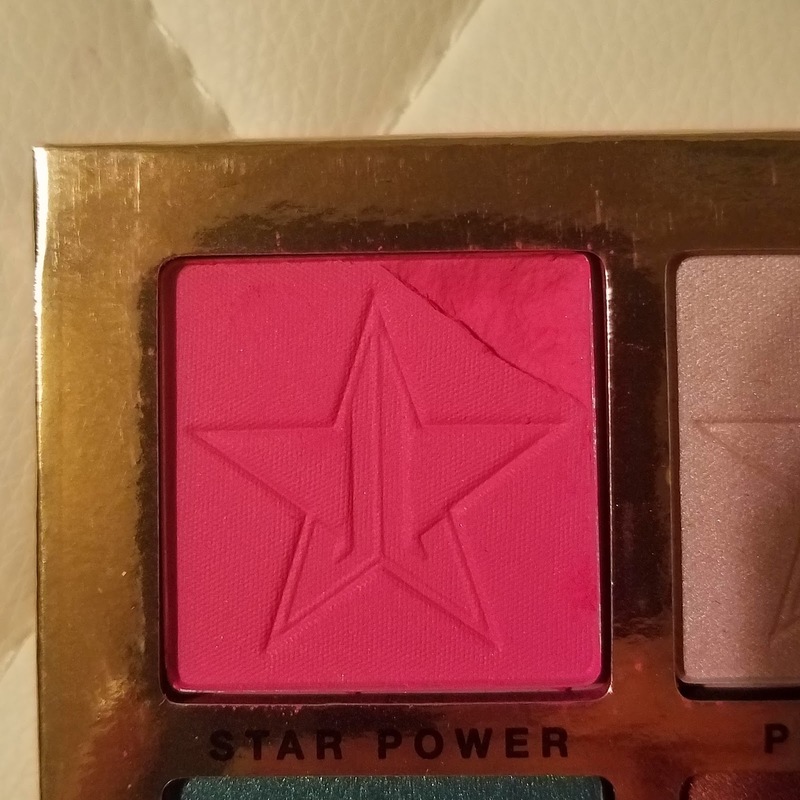 Behold the glory of Jeffree Star Cosmetics packaging! 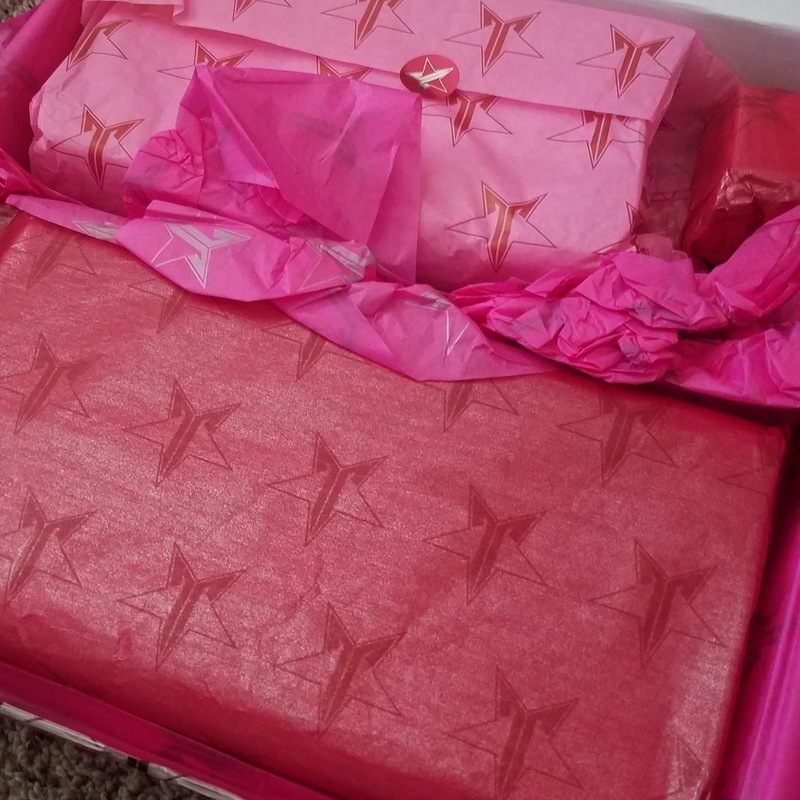 I was so excited to open this package! Now let’s look at the Mini Red & Pink Velour Liquid Lipstick bundle! As soon as I saw this, I added it to my cart. 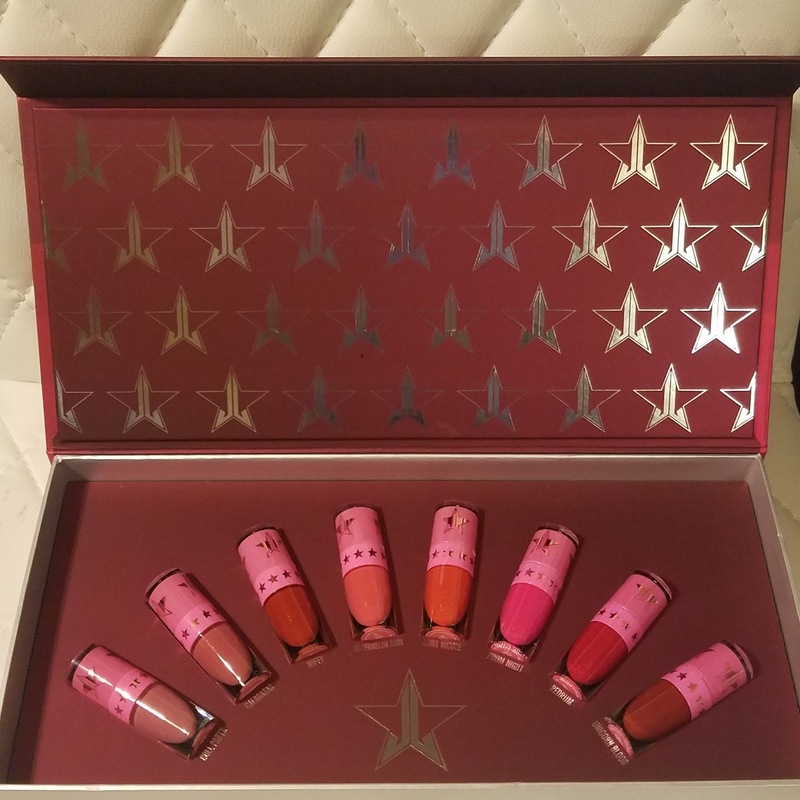 The packaging alone sold me but again I LOVE Jeffree Star and the special packaging he creates is amazing! 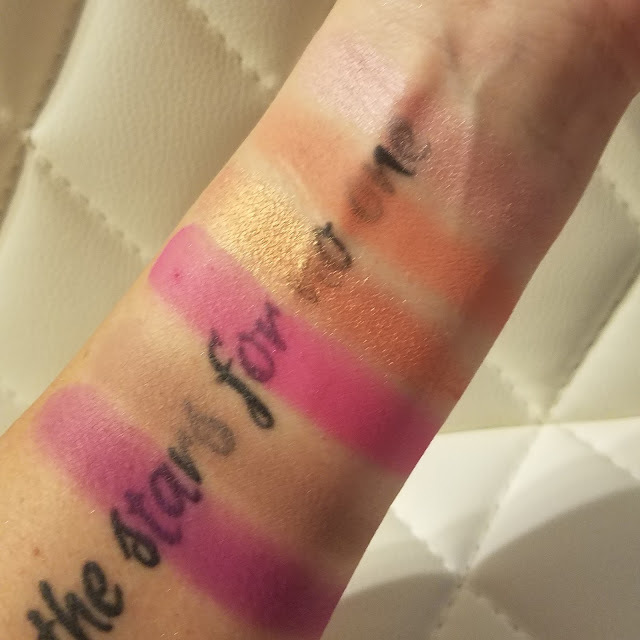 The Velour Liquid Lipsticks are definitely my favorite. 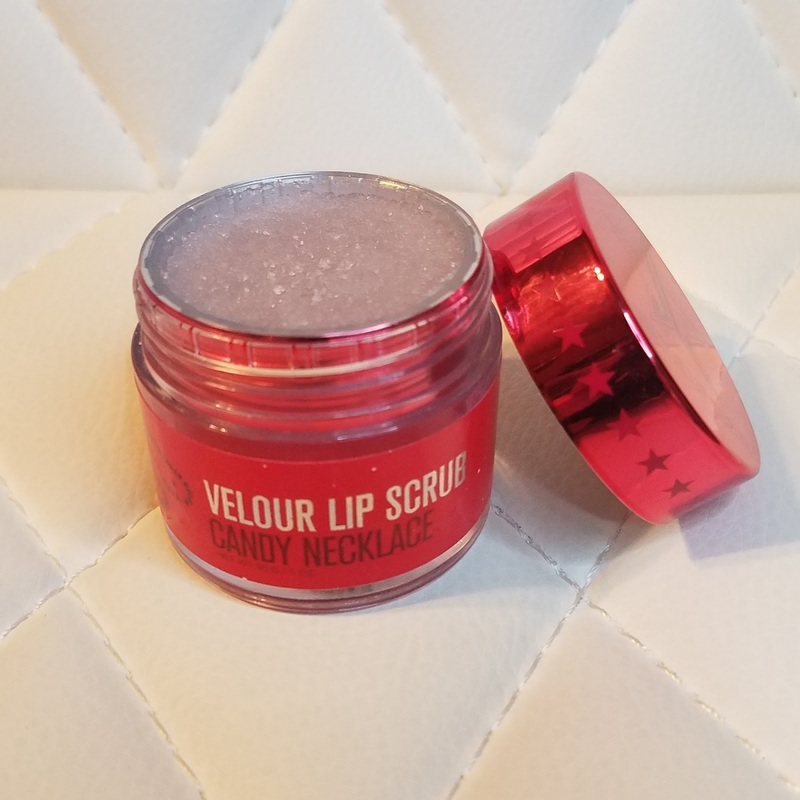 The formula is amazing and does not dry out my lips. It lasts all day long unless eating or drinking a lot, and I do mean a LOT. Seriously.. Look at that packaging!!! Now we reach the most anticipated product in the box… The Blood Sugar Palette!!! However, it was also the most devastating product to open. I have wanted and waited for this palette since Jeffree Star started talking about it. So here let’s look at what I saw when I opened this box. I was completely heartbroken! Of course it could have been a lot worse but this was bad enough to really upset me. Please let me know if you'd like to return the product and I can issue you a return label. Once the return reaches our facility, I can either send a replacement or process a refund. Let me know how you would like to proceed! 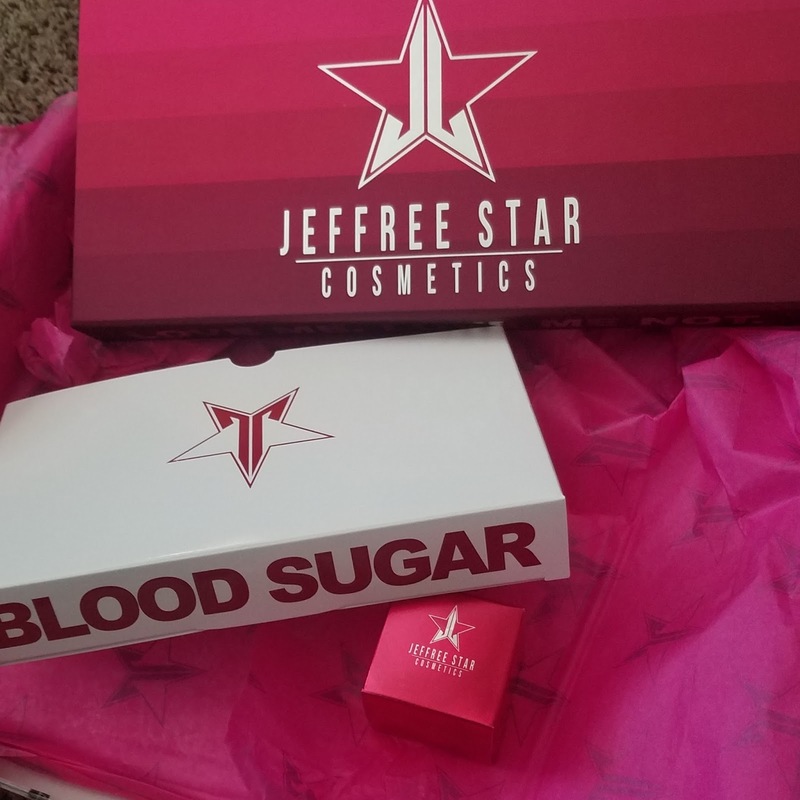 Thank you for supporting Jeffree Star Cosmetics! Instead of returning the product I decided to keep it. I had waited long enough and did not want to have to wait for the restock. It wasn't their fault that FEDEX doesn't care about their customers. This is poor handling from the carrier and is unacceptable.. did I mention this isn't the first time this has happened??? It seems like FEDEX likes to throw around the packages and damage amazing products. 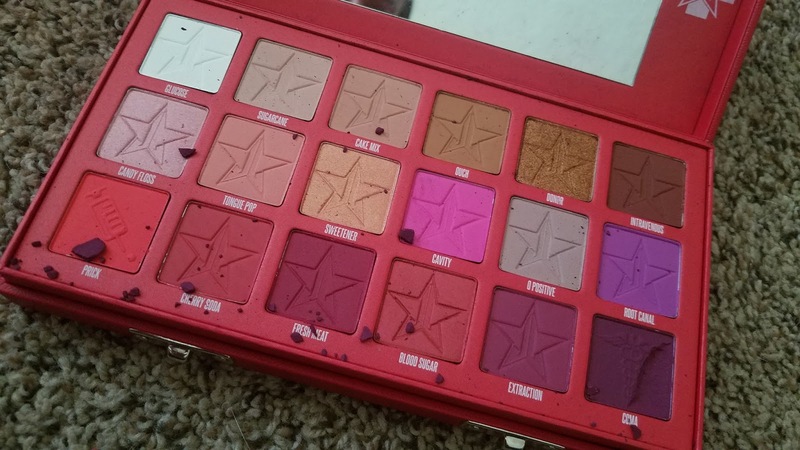 I'm really over it and wish that Jeffree Star Cosmetics was available in Florida. This is the reason I hate ordering online! 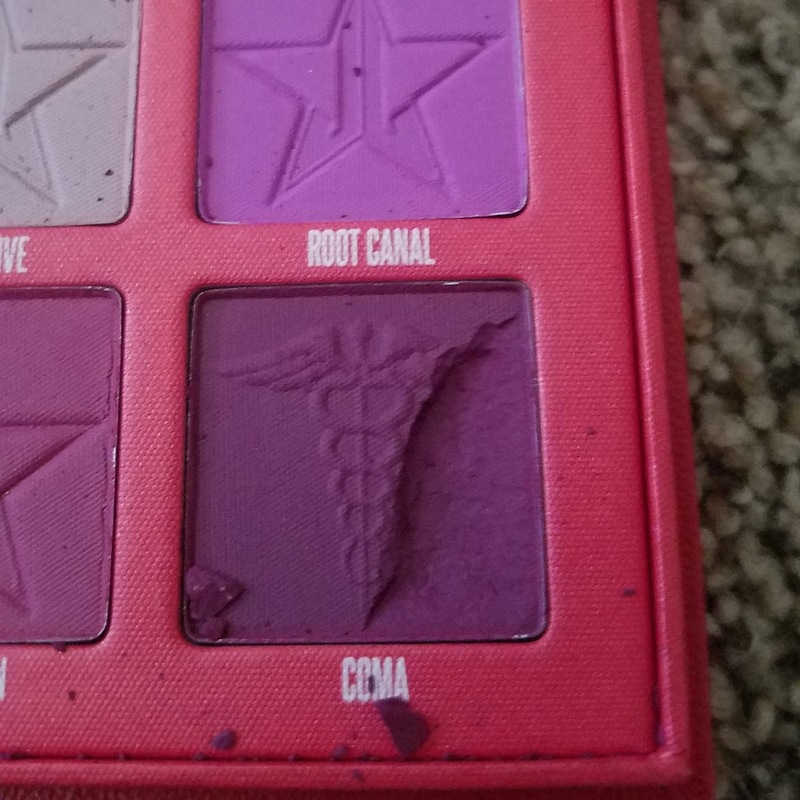 Now onto the AMAZING Blood Sugar Palette! Seriously this packaging is to DIE for! It is beautiful, unique and amazing! 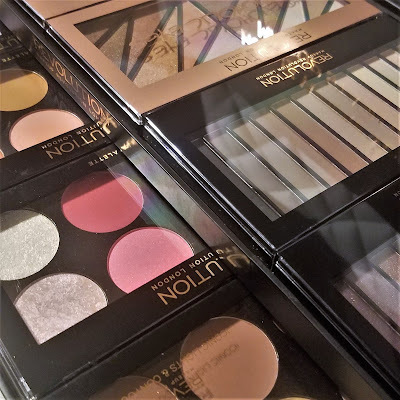 It is heavy, luxurious and packed with 18 striking eye shadows and pressed-pigments! 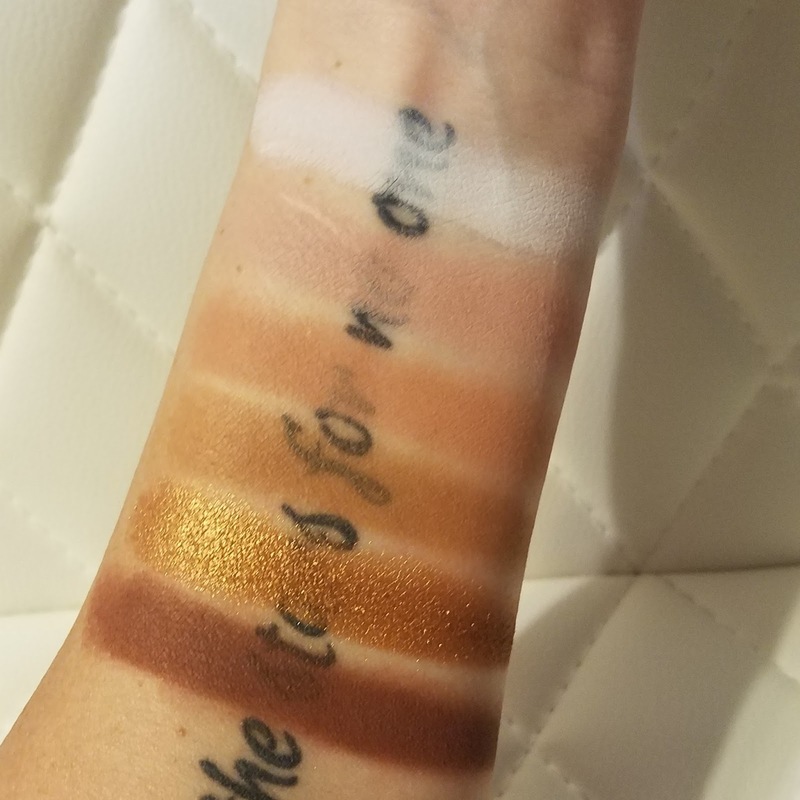 This palette is still available for PRE-ORDER and is not limited edition! I may have to order a second one and hope it comes intact this time. This brand has always been my favorite. I have a few off their shades, which I love most. 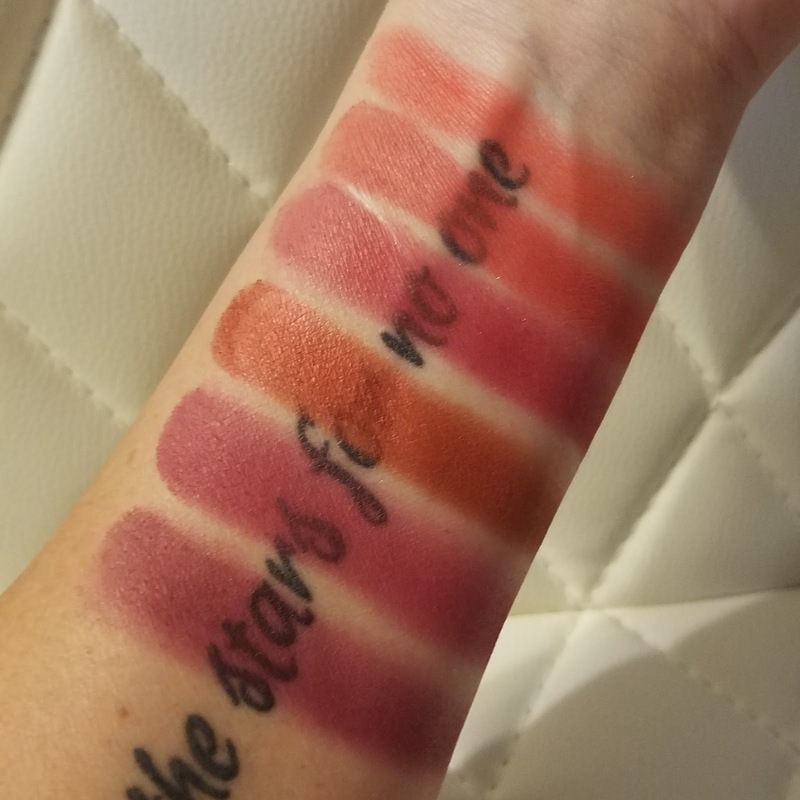 Most long-lasting and comfortable lipsticks I ever used.Makeup lesson by makeup artist.